The sizeable development is located in Prague’s fast-developing 9th district. Finnish construction company YIT has commenced work on a significant construction project in the Czech Republic. 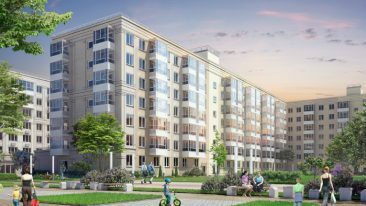 The 100 million-euro development is being built on a nine-hectare plot in the capital, Prague. YIT announced its acquisition of the land earlier this year. A total of almost 900 apartments are set to be constructed by 2025 in the city’s fast-developing 9th district. The area boasts good public transport connections, green surrounds and proximity to numerous services. The total value of project is over 100 million euros and will be constructed in several phases. This first of which is valued at over 15 million euros, and consists of approximately 150 apartments. Completion is slated for 2017.